1. Why should I use containers for space solutions? Building a structure from scratch in Singapore is costly and most of the time you only need the space temporarily. Fitted containers ask for a much smaller capital outlay and only a fraction of mainstream construction costs. Besides, there are flexible rental options which mean less strain on your cash flow! Construction requires bulk materials and massive energy to begin. While minimizing the materials to build its superstructure, container housing conserves our environment by recycling unused containers that lined up the ports which otherwise end up as scrap metal, causing more energy consumption. Containers are made of weathering steel to withstand travel fatigue and allow for modular construction. This results in superior mobility, assurance and productivity. 2. Before getting a container, what should I take note? First of all, it is very important that you ensured that you are allowed to place and operate the required containers at your premise. It is recommended that you obtain a written response from and any requirements raised by the owner, management or landlord of the intended property. It is not unusual that the response is accompanied by a further requirement that is to seek approval from the relevant authorities through the successful submission by a relevant professional e.g. engineer, plumber etc. This applies to you even if you are the owner. In one example, the use of toilet containers may involve temporary sewer connection and hence would require approval from the statutory bodies. The process takes time and may call for additional documents at any time and hence cause further delays. Note: Use of containerized space solutions are subjected to the building regulations or governing authorities of Singapore at any time. Users shall be responsible for any charges incurred during any addition or changes to the agreed services quoted or cancellation after the order has been confirmed. 3. Which containers should I get? Start by measuring the amount of space allocated to you and drawing a preferred layout. Then use the dimensions of our standard products of your choice to fit into your premise. Otherwise, non- standard sizes would require a customization. 4. I need containers of other or specific dimensions. This can be done through modifications of our containers or fabrication of a new unit. Transport arrangements may hence be different compared to standard containers. 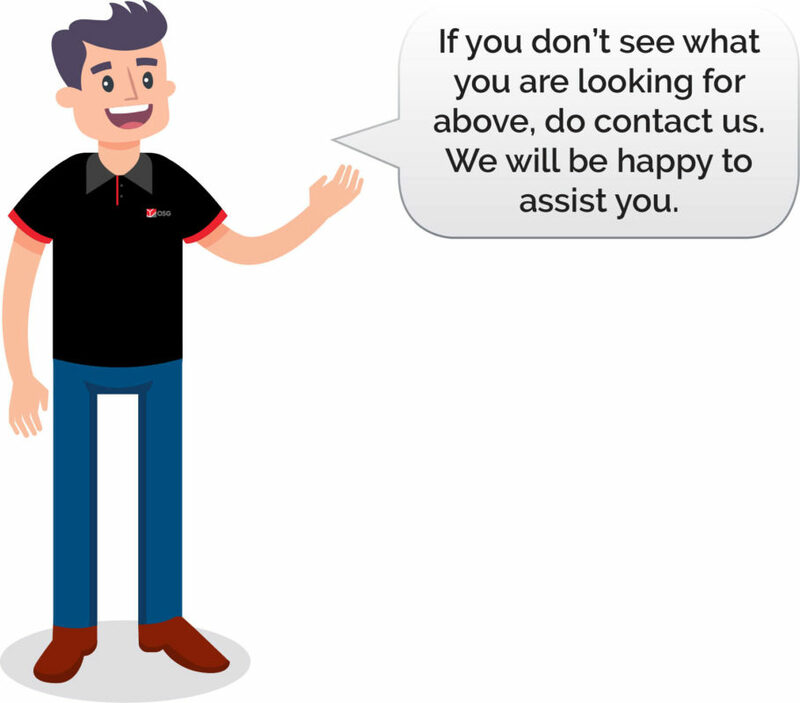 Do specify the required dimension in your request to our sales team. 5. I want to stack or combine the containers. It is possible, please speak to our sales team for more advice. 6. Are your containers fire-rated or ex-proof? Standard fitted containers do not consist of rated materials. However, we are able to produce purpose-built containers if you let us know your specifications. 7. What is different between “New” and “as-is” conditions? All containers are made from used units to generate better value for money and environmental benefits. “New” condition refers to the used containers with new interior while “as-is” are pre-owned units, in other words, what you see is what you get. 8. Are the containers covered with warranty? While we do not practice issuance of warranty for the containers, we recommend our users to inspect the units before despatch or upon delivery to report immediately any defects or provide feedback for rectification. We believe in fair dealings and will continue to provide our after-sales support on a case-by-case basis. 9. How long can the containers last? Containers are designed to withstand atmospheric corrosion and endure heavy loads and impact. There are various ways to give them added protection and insulation upon request. When maintained properly, they can be used for many years and beyond. Furniture such as tables, chairs and beds are quoted separately. Please refer to the respective product info page for the specifications and fittings included. Alternatively, you can get in touch with us on your specific needs. 11. What is the average lead time for an order? Do call us to check for stock availability or lead time as it depends on quantity and complexity. 1. Are all types of containers available for rent? We offer competitive and flexible rental options for rental of standard units. A refundable Security Deposit is required for all rental units. 2. Can I rent non-standard units? Yes. Please speak to our sales team for more details. 3. Is there a minimum or maximum duration I can rent for? No, but it would be generally economical to rent from a few months up to a year. 4. I want to rent for a few days. Sure. Let us know the exact dates which they are required. 5. Can I move the containers during the lease period? Please inform us before shifting as this would affect the leasing agreement terms. The containers are not allowed outside of Singapore at all times throughout the lease duration. 6. I want to rent the container and the chassis. Yes. We can make this happen. Please inform our sales team at the time of enquiry. 7. How do I return the container at the end of the lease? Simply give us a week’s notice and the date that is convenient for collection. Please ensure any obstruction such as roofing, machineries as well as fixtures like beams and concrete are cleared. If you did not request for lifting crew from us, please get your lifting personnel to be present at the time of return. Do note charges will be billed separately for additional job requests as well as asset damages (excluding wear & tear caused by natural elements) or disposal of rubbish upon return. 8. Can I rent the furniture? Yes. Please indicate the quantity and type of furniture required when getting in touch with us or submitting the enquiry. 9. Can I rent a container for overseas use? No. Unfortunately, we do not offer this service at this moment. 10. How are the containers being delivered to my site? Containers are normally delivered using a lorry crane, trailers or other specialized vehicles. Delivery of odd-sized or heavier containers such as wider container and toilet containers as well as multiple containers would sometime utilize a combination to achieve cost savings. Upon arrival of the truckers, a team of lifting professionals must be present to ensure the unloading/loading process is carried out safely. 1. How do I level the containers on the ground? There are different ways to align the containers with the ground. Depending on the ground conditions, we can supply tools and labour to help you achieve stability of the containers. 2. How do I power up or ready the containers? Most of our Fitted/Toilet containers come with internal cabling works or inner system pipelines pre-installed. For e.g. Fitted containers are equipped with junction box and wire box/wall socket (female). However, the commissioning (from the container to the mains or manhole) are not provided and users are responsible for arranging the respective professional to operate the container properly. 3. I don’t have an in-house electrician or plumber. Please inform us at the end of your order so we can include the onsite service(s) in the quotation for your consideration. 1. I need additional fittings or installations. Simply get in touch with us and our sales team will be able to advise you. 2. Do you provide regular maintenance or servicng. 3. The containers I received are not according to my specifications. To minimise such incidents, we encourage you to drop by our workshop to sort out any misconception as well as to inspect the containers before dispatch. Nonetheless, if you suspect of manufacturing fault, do get in touch with us and our sales team will be able to advise you. 4. I need to repair or modify the container. 5. I want to shift the container. 6. I no longer require the containers. We are happy to re-acquire the containers from you. This service only applies to containers directly acquired from us. 7. Can I trade in used containers?e container. 1. What are the payment terms? We require a 50% down payment upon confirmation of all orders and the balance upon delivery. Invoiced items which are not fully settled in payment will remain as property of O S G Contractor Pte Ltd.
2. What are the incidental charges to take note of? Please refer to your quotation’s Terms & Conditions.